The goal of the health program is to meet the health care needs of the students and staff at Antilles School. The nurse's office is located on the first floor of the Lower School building next to the Toddler Learning Program. The nurse is on duty Monday through Friday from 7:30AM until 3:30PM. We stock a wide variety of over the counter medications such as Tylenol, Advil, Benadryl, and multiple cough and cold preparations. The nurse is responsible for dispensing all medication on campus. Please visit the Forms Page for copies of all required health forms and deadline details. Edye Ciaccia moved from Atlanta, Georgia to St. Thomas, VI after retiring as the Operations Coordinator for a 34-bed high-risk perinatal unit at Northside Hospital. 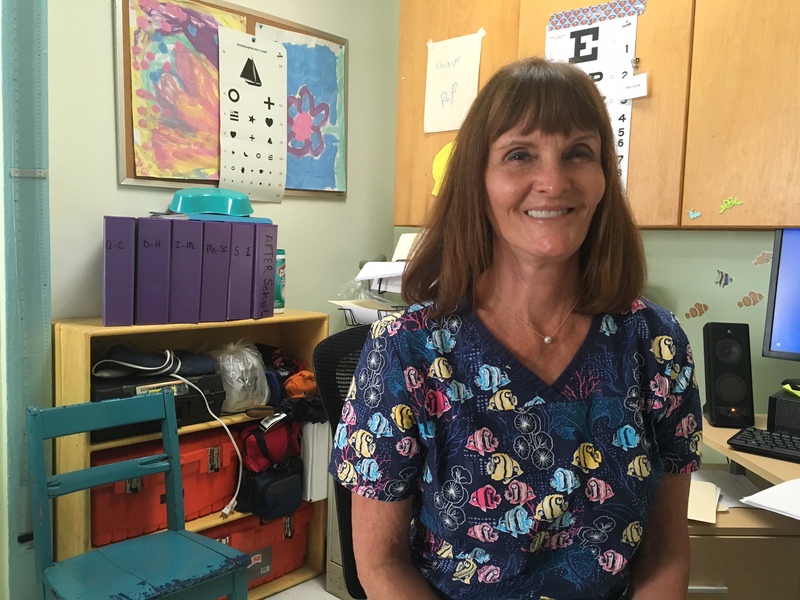 In March of 2016 she came out of retirement to become the Antilles school nurse. She graduated from Vincennes University in Indiana and has 48 years of nursing experience in Labor & Delivery, High-Risk Obstetrics, Occupational Health and School Nursing. In her free time she loves to exercise, read and spend time with her family who also relocated from Atlanta to St. Thomas.